Another masterpiece by the master. Scott has done it again. Another masterpiece. The writing here is on another level worthy of t.v. or movies. Amazing work. He is due for recognition beyond just being an author very soon! 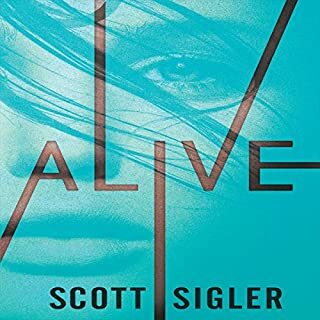 I introduced my oldest sone to Scott Sigler with the first book in this series Alive. With the hopes he would want to hear more Sigler books. I've been a long time fan with your books and Podcast. We were both stoked for the second book Alight. My son loved it so much he knew exactly when the third book Alone came out. This was supposed to be your best book ever. Ugh I can't tell you enough how disappointed we both were when we heard AB Kovacs read this story. It was so hard to follow along with this monotone reading. Within 15 minutes we were both completely let down. I own over fifty audiobooks from audible. 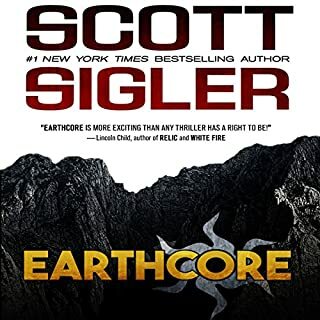 I will never buy anything from Scott Sigler if he has Ab Kovacs read it. She does a great job with the other parts of her job but the reading is one of the worst I have purchased. So disappointed. I love these books, but the new Narrator is just awful. It really jolts you out of the story. The old M was much better. I'm only a bit of the way through it, but so far, I can't stand her. I can't get into the story like I used to. I'm thinking I just might need to read this one instead of Listen. I really enjoyed this trilogy and Alone was a great ending. There was a change of narrators in this one that although I've heard the explanation, I don't find it necessary or agree for the need. I had an issue with the narration on this one...she reads so slowly. The pace just did not match the story. Then about half way through I found the speed adjustment setting in the app and set fir 1.25X. It felt more conversational and much more natural. I don't think I would have finished the book had I listened at regular speed. Set it 1.25x and then enjoy the ride, otherwise read the book. Sigler screwed my favorite trilogy up. Why on earth would you change the narrator for the last book. I tried to listen but the new narrator was horrid! Don’t get this audiobook. The first two were good and it should have ended. This last one stunk. 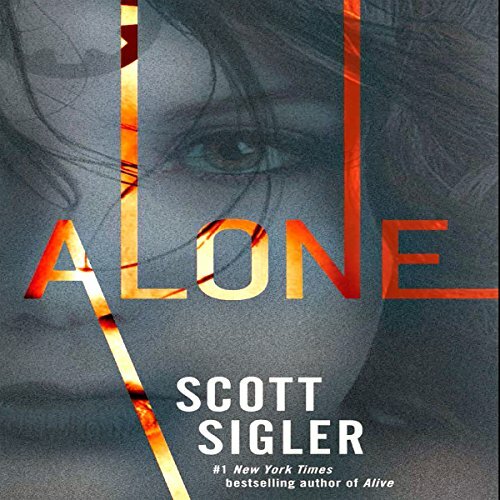 Another Sigler great book, not so great voice actor though. This is another solid Sigler book, however, the voice actor wasn't that good at all. It lacked Emma Galvin's emotional and differentiation capabilities. I understand that the person in the story is a different one, though only one year has passed from book 2, so really can't be that much different. It took me a while to recognise some places and characters name from book 2 as the pronunciation was different. The story maybe gives a small insight of what is going to happen in future GFL books, but no big spoiler. What a great series! Book 3 is a bit more emotional than the other 2 books, especially toward the end. We get a lot more of Em's history or Matilda's I should say. They discover Omeyocan's secrets and learn about their God. NOT what they were expecting! Book 3 took an awesome twist I just wasn't expecting! 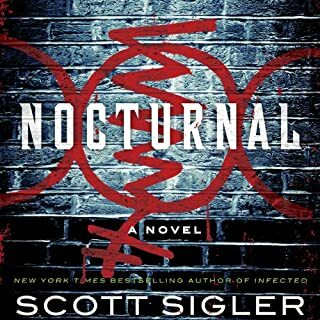 As always, Scott Sigler does not disappoint! He is one of only 2 authors I buy without even reading the book description. I have no doubt it will be good! 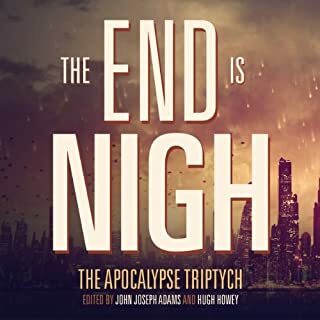 AB Kovacs does a good job with the narration. 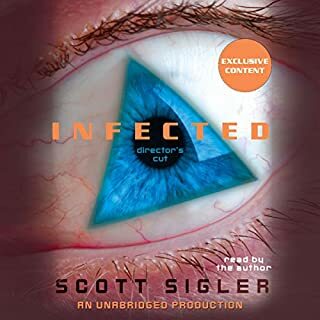 I was very disappointed that Scott changed narrators in the middle of the series. He says he wanted the characters to sound older and more mature. I'm assuming there were other reasons. That is very unfortunate. Kovacs was good but I had to adjust to her style. The pronunciations were very different from the original narrator and several characters now have accents that they didn't have before. Very confusing at first. Any narrator that jumps in mid series should definitely listen to the previous books to get a feel for each of the characters, their accents, and pronunciations. Other than that, she did a great job. So many of the burning questions are answered in this book. Where this Trilogy falls in the timeline of the rest of the Sigler verse. Why The Colony ship was built and by whom. I personally would have liked a little more detailed stories of the fights between the grown-ups on the Colony ship. Had to wait till I had all three of the trilogy so I could have a sigler marathon. didn't like AB Kovaks narration for one after getting used to Emma Galvin and two it just wasn't good acting. the story came to a satisfactory conclusion but the reason for them going to Omeyocan was a bit far fetched and almost like Scott Seiglar couldn't think of anything more imaginative. Non stop, heart in mouth stuff. A face paced space opera thriller with added GORE! 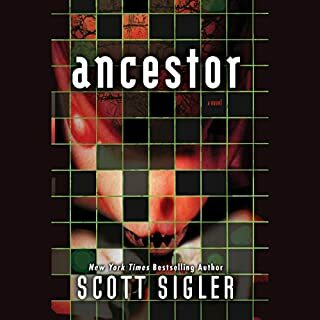 Enjoyed an excellent finish to another of Scott's brilliant triologys. This is a action filled space / alien planet thriller with an interesting take on the planet exodus story theme. the main characters are children but the story is definitely not for children. "Sometimes courage comes with a blood curdling scream, other times it comes through a wavering voice. " I like the first two books, especially as I only half read the summary so with the first book I did not have a clue what was going to happen.. I rarely rate so low but this just did not live up to the first two books and I hated the woman reading it..
Great end to a thrilling trilogy. Loved every book and have listened to all 3 books in just over a month! A fantastic end to the trilogy. Never saw that ending coming. To be honest I hope Scott carries on with these characters and universe. I found this disappointing. I'm not sure that it was the story. I think it was the narration. It's not that Kovacs was bad, it's just that she is not the original Em. The contrast between the two narrators is stark, too stark. Listening to Kovacs read is like hearing the story being read by a 25 year old Em to a 12 year old child. I found it almost boring. When listening to Emma Galvin's version of Em you feel like the story is unfolding before your eyes (or ears). You are there with Em, in the moment, in middle of the action and it's intense. Everything that happened in the final book felt like it was happening to someone else - another Em and not the Em I got to know from the first two books. I found it hard to care for her in the same way. If you liked the series it's worth getting to the end. However I think I would have enjoyed it more if I'd just read it. Loved the final chapter, and how the story ended. A Kovacs was brilliant as the new reader. This book could so easily have disappointed me. The previous 2 were so good so I was concerned the end may be a let down - but it is awesome!!! !